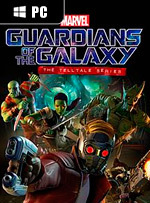 Under Pressure keeps the story flowing and the jams pumping as Telltale provides a rare look at one of the Guardiansâ upbringings. The hit-or-miss humor and standard technical malfunctions are still on full display, but the strong storytelling helps keep the season moving forward as the dysfunctional space crew keep searching for answers. 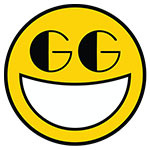 The first chapter's conflicts and outcomes may be conventional, but so were the the ones in the weird comic books my best friend's older brother stored in bread bags, which we'd read as fast as we could before he got home from football practice to terrify us. The feeling of wanting to read the next issue is just the same, too. 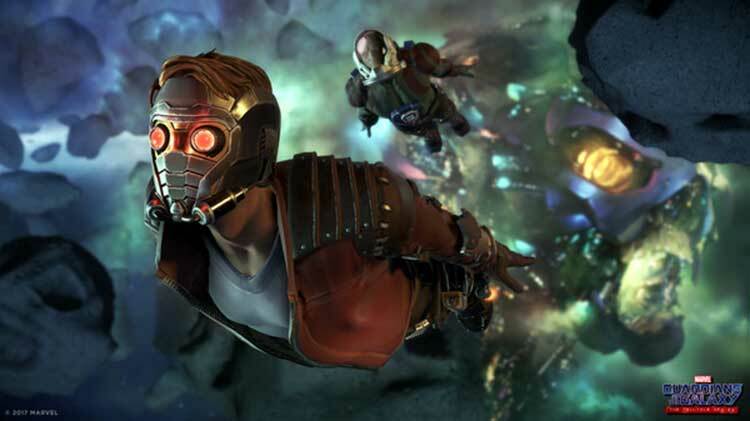 Strong writing, great performances, an engaging story with choices that matter, and a fantastic soundtrack make Telltale's Guardians of the Galaxy an intergalactic ride worth taking. Just don't forget your Walkman. 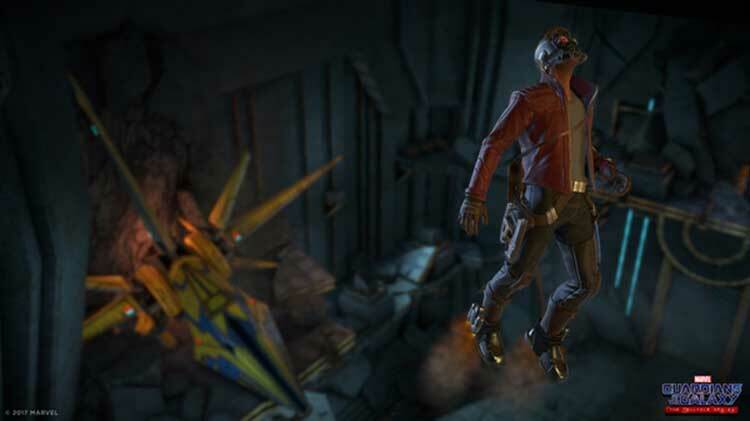 Overall, this season of Marvel’s Guardians of the Galaxy: The Telltale Series is a good one. 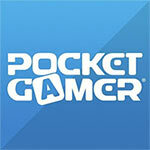 If you can forgive the usual Telltale glitches and random instances of poor framerate, you’ll have a blast. I look forward to the next season, hinted at in the post-credits scene. 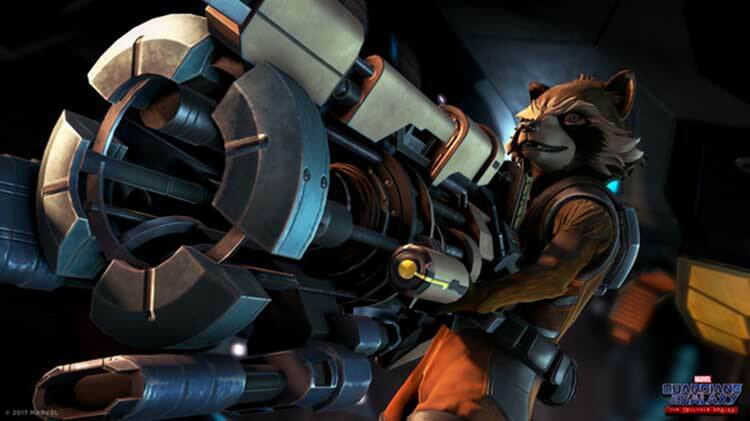 Come on, it’s Marvel, you knew it had to have a post-credits scene. 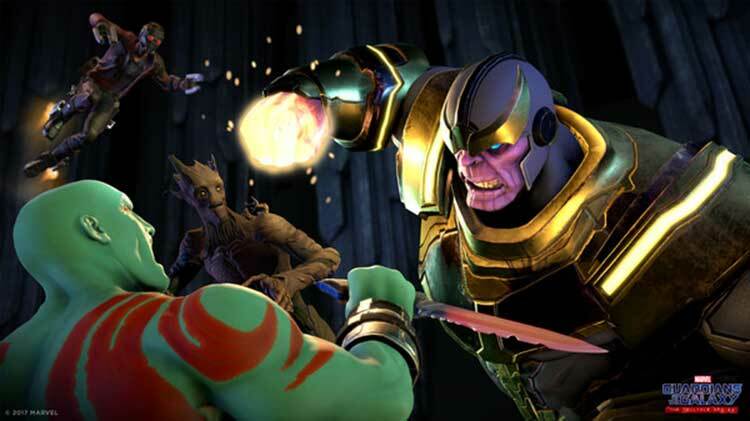 Si conoces Telltale, sabes a lo que has venido: Marvel's Guardians of the Galaxy no reinventa la rueda, solo la clona y la ambienta en el atractivo mundo de los Guardianes de la Galaxia. Logra entretener por su guión, pero decepciona la falta de ambición del estudio por ofrecer algo aunque sea ligeramente nuevo. A ceux qui espèrent secrètement une révolution... passez votre chemin. 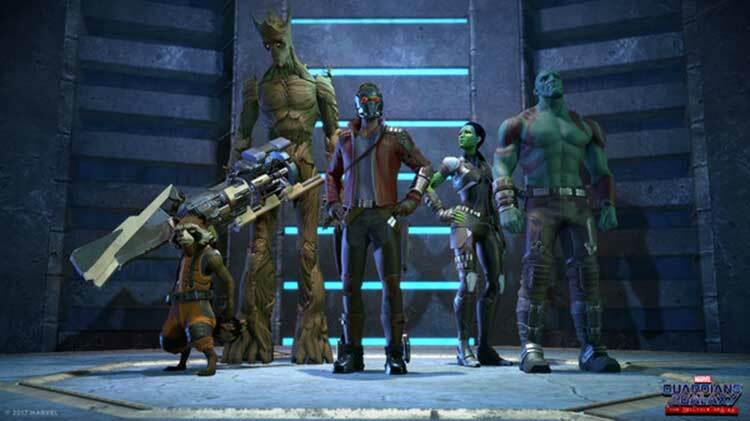 Guardians of the Galaxy innove à aucun moment et récite ses gammes sans jamais s'aventurer en dehors des sentiers tracés par les productions précédentes.